Our founder colleges in Canterbury, Epsom, Farnham, Maidstone and Rochester opened their doors in Victorian times. Each of these colleges made it their mission to serve local people in the communities in which they were based and to offer education irrespective of social class. After a series of mergers, the University for the Creative Arts achieved full university title in 2008. This was wonderful news for staff, students and alumni alike, as the creation of a specialist creative arts university acknowledged the growing importance of the subjects we teach. As a specialist university, we have created a unique community for our students, where like-minded people can share in the creative process and inspire one another. Collaboration between courses is encouraged, with fine artists studying with budding film-makers, and fashion designers working alongside architects. In this way, our students benefit from exposure to a range of disciplines. We pride ourselves on our industry-standard facilities. Our campuses are home to workshops for ceramics, glass, wood and metals where students can experiment under the supervision of technicians with extensive industry experience in their field. There is extensive studio space in painting, sculpture, fashion and film-making; radio and TV facilities for trainee journalists; stop motion equipment for animators; and an industry-standard Gerber suite for fashion pattern cutting. It is not surprising that this specialist learning environment has produced graduates who go on to lead in their chosen industry. Our alumni include, Karen Millen and Zandra Rhodes in the world of fashion; jeweller, Stephen Webster; Oscar winning animators, Michael Dudok de Wit and Suzie Templeton; artists, Humphrey Ocean and Tacita Dean; and, textile designer Roger Oates. Oscar-winning film makers, world-renowned fashion designers, television presenters, celebrity jewellers and Turner Prize nominees are just some of the high-profile graduates from the University for the Creative Arts. 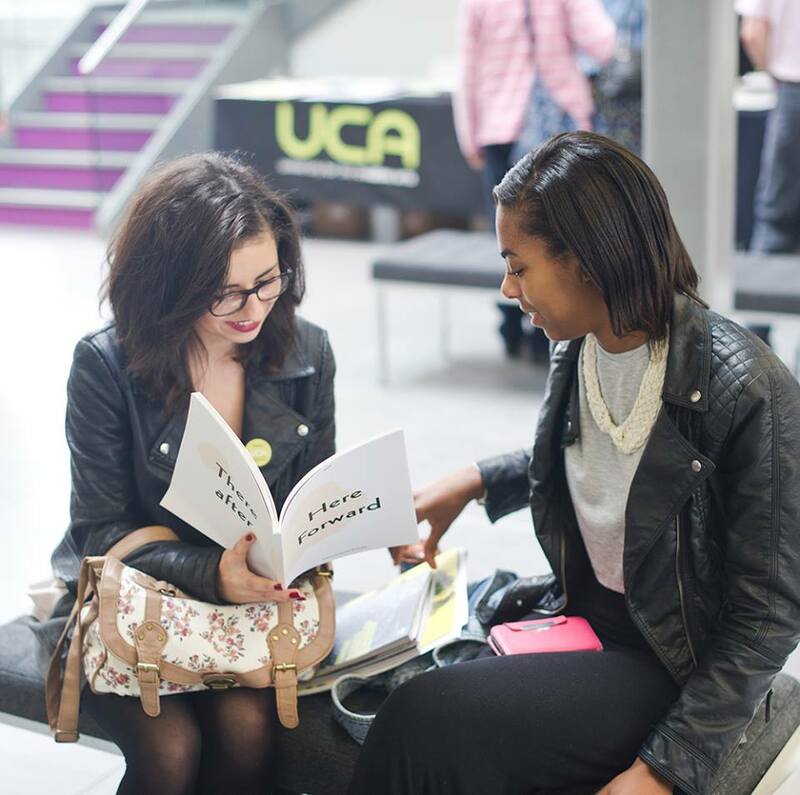 If you choose to come and join us at UCA you will be in the unique position of studying in lively towns set in beautiful countryside but close enough to London to benefit from everything the capital offers. We have campuses in Canterbury, Epsom, Farnham, Maidstone and Rochester. - Take a National Rail train from London St. Pancras International or London Waterloo East to Canterbury West, changing at Ashford International if necessary, then take a taxi to the University. - Eurostar passengers can get off the train at Ashford International in Kent. This station has direct rail links to Canterbury. - Take a National Rail train from London Waterloo or London Victoria to Epsom. It is five minutes’ walk from Epsom station to the University. - Eurostar passengers should get off the train at London St. Pancras International, then take the Underground (Victoria Line – Southbound) to London Victoria, or change at Oxford Circus for the Bakerloo line – Southbound to Waterloo. - Take a National Rail train from London Waterloo to Farnham (via Woking). It is 15 minutes’ walk from Farnham station to the University. - Eurostar passengers should get off the train at London St. Pancras International, then take the Underground (Victoria Line – Southbound) to Waterloo (changing at Oxford Circus for the Bakerloo Line – Southbound). - Take a National Rail train from London Victoria to either Rochester or Chatham stations, then walk for five minutes to the University at the top of Fort Pitt Hill. - Eurostar passengers should get off the train at London St. Pancras International before taking the Underground (Victoria Line – Northbound) to Victoria. - The nearest train station to the studios is Maidstone East. National Rail trains depart from London Victoria and London Bridge. The studios are a taxi journey from the station. - Eurostar passengers can get off the train at Ashford International Station in Kent. This station has direct rail links to Maidstone. 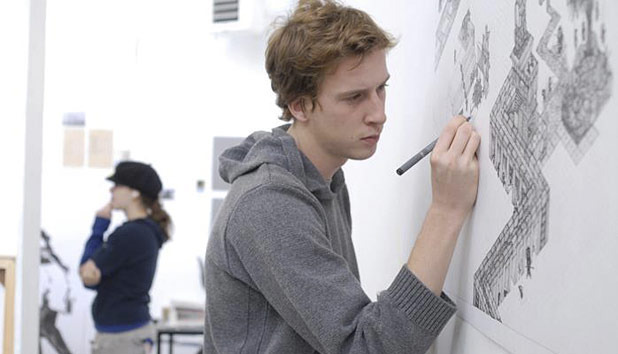 BA (Hons) Fine Art (4-Year Course) NEW! 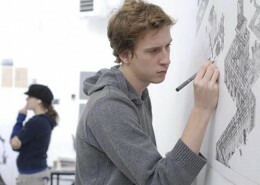 BA (Hons) Digital Communication Design (4-Year Course) NEW! BA (Hons) Fashion (4-Year Course) NEW! 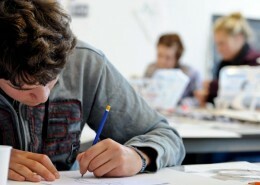 BA (Hons) Graphic Design (4-Year Course) NEW! BA (Hons) Film Production (4-Year Course) NEW! BA (Hons) Photography (4-Year Course) NEW! BA (Hons) Fashion Promotion (4-Year Course) NEW! 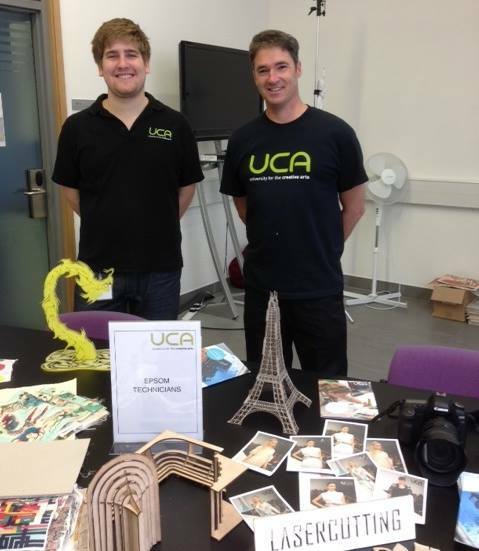 Our Pathway courses are designed to provide you with a fast-tracked and guaranteed progression route onto UCA courses. 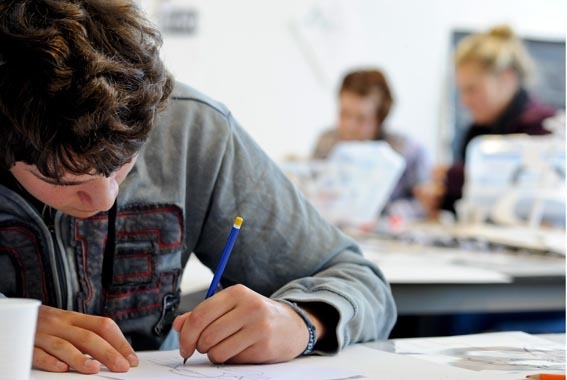 Whether you are looking to start a pre-degree, undergraduate or postgraduate level course, we can offer a Pathway course which is suitable for you. 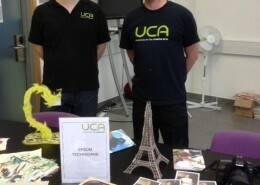 UCA is all about exploration and this means our facilities take pride of place. 2,400 images within the University Library’s own system, imageBank. The Library Catalogue and most of the electronic resources are available both on and off campus. Users may borrow materials from all four sites. In addition, the Library offers a document supply service to provide items not available from within the University collections. The University Library houses a range of archival material & special collections which include material concerning Oscar winning animator Bob Godfrey, the Tessa Boffin photography archive, working class artist books and press and the University’s institutional archives among others. Our campus galleries host a unique and varied exhibition programme to enrich and engage our own network of creative staff and students, as well as the wider community. Gareth Edwards, Godzilla director and UCA BA (Hons) Film Production alumni, unveiled plans for Godzilla 2 at Comic-Con. New graduates won a raft of awards at the prestigious New Designers exhibition. BA (Hons) Computer Animation Arts graduates Urvashi Lele and Nat Urwin, BA (Hons) Illustration graduate Matthew Alker and BA (Hons) Silversmithing, Goldsmithing and Jewellery graduate Emma Webb each fended off strong competition to collect their awards at the Business Design Centre in London. Four students from UCA’s School of Fashion made it to the final stages of the Graduate Fashion Week 2014 catwalk awards. British fashion designer and UCA chancellor Zandra Rhodes has received the title of Dame in the Queen’s Birthday Honours. Arnold Schwartzman OBE RDI (Thanet School of Art and Crafts and Canterbury College of Art (UCA), 1951–1955) – designer, director, illustrator, author, photographer, lecturer and external examiner. Brian Webb (Canterbury College of Art) – graphic designer, director of Webb and Webb, visitor professor at the London Institute, external assessor for many design courses in the UK and overseas. Emmanuel Cooper OBE (honorary degree, 2003) – potter with an international reputation, author, Visiting Professor in Ceramics and Glass at the Royal College of Art, board member of the Arts Council, London. Humphrey Ocean (Canterbury College of Art, 1970–1973 and awarded an honorary fellowship in 2002) – portrait artist. Jeff Banks CBE (honorary fellowship 2001) – designer, visiting lecturer and examiner. Karen Millen OBE (BA in Fashion, and honorary fellowship 2002) – fashion designer. Mehrdad Tafreshi (Design graduate) – in-house designer of Quist. Myrto Stamou (Design graduate, 2009) – fashion designer. Tim Searle (Animation graduate) – involved with hit television shows. Tracey Emin RA (BA in Fine Art, Maidstone College of Art 1988) – artist. Zandra Rhodes CBE RDI (Medway and the Royal College of Art in London) – designer and Chancellor of The University for the Creative Arts.